Good evening, today I will be doing something a different for LocoYard.com and looking a model railway company. 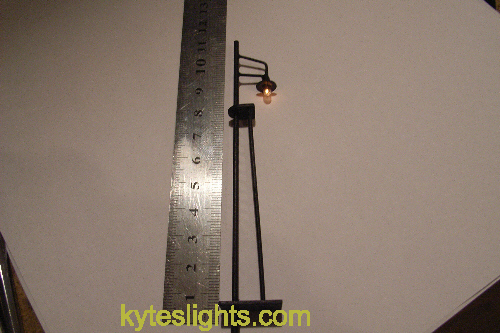 Kytes Lights are a small company based in Bognor specialising in lights for model railways. I first came across them at the Victory Model Railway Club exhibition in 2013 and was impressed by the quality and appearance of the lights. The trade stand had a wide variety of stock including police cars with following working flights, illuminate Burger trailer, street lamps, platform lights and signal lights. Basically anything you could think of adding lights to on a model railway was there. 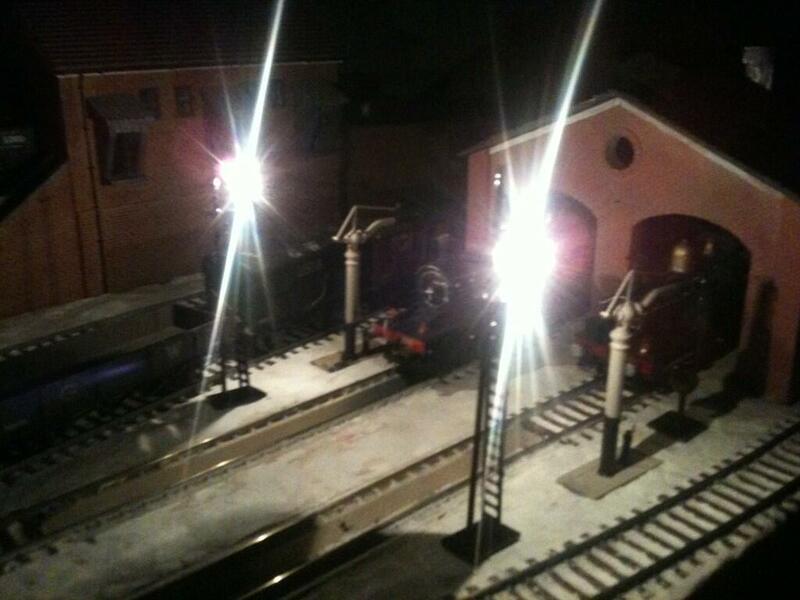 I was after some yard lights for my layout and purchased a couple of their ” 11cm yard light mk2″s. The light comes with everything you will find to set it, including all the wires and a choice of 2 resistors which will affect the brightness of the light. Installing the lights was very simple, as it was just a case of drilling a hole for the wires in the baseboard, soldering up the resistor, switch and feeds to the power bus and job done. The lights have a nice white/yellow colour which I like and think the overall appearance is very good. I will be purchasing some more lights from them for my coal stage, engine shed and various support buildings up when I get round to it. I have had the lights installed for a year now and they worked perfectly from day 1 and are highly recommended. The video below was filmed using only the 2 yard lights for light and shows the overall colour and strength. To check out these great lights visit his website at “ www.kyteslights.com “.